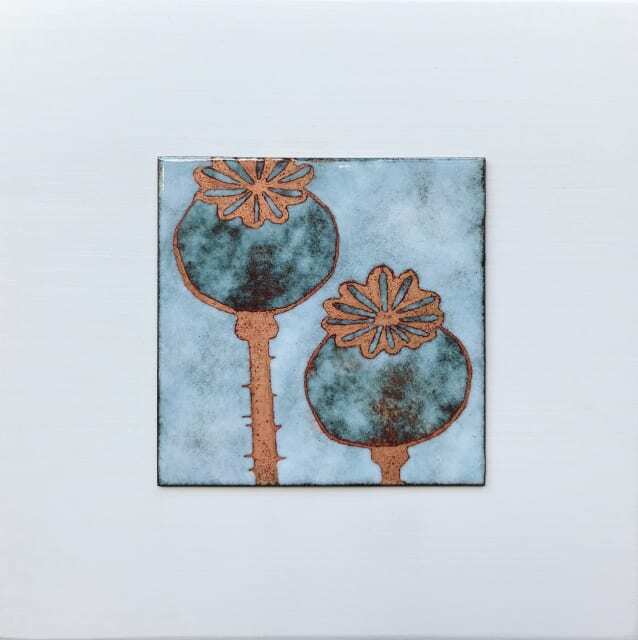 Janine Partington's enamel work begins life as a series of drawings, usually inspired by seed heads, plants and flowers gathered at her Bristol allotment. Using a stencil technique, her drawings are transferred onto copper, before being fired in a kiln. The copper surfaces she works on are allowed to shine through, showing the natural sheen and warm glow of the metal, which contrasts sharply with the natural, flowing forms she observes. Janine Partington completed an MA at Leicester before settling in Bristol with her family, where she began working in enamelling. Developing her technique, she produces wall-based work and sculpture as well as jewellery ranges.